Who knows your business better then you do? No one right? You know what the problems are, but you are way too busy being pulled in every which direction and not able to step away and take the time needed to fix them. Whilst you are in the trenches making sure that business carries on, as usual, you may need to get some outside help. A fresh perspective to objectively assess your business without getting wrapped up in the day-to-day chaos. A Business Consultant perhaps? A Business Consultant can be great. However, it's also quite daunting letting someone you don't know into your business to poke around, look under the covers and then tell you what they see. That's a reality and one which a consultant must always keep in mind when working with clients. Clients feel awkward too! All consultants come with a set of fundamental business principles and frameworks (one would hope). But just because they understand business doesn't mean that they understand your business. Whilst those fundamentals can benefit you, they are too generic to be able to offer anything deeper that will have the effect you are looking for. 1) The culture of your business. 2) How the processes and systems work. 3) What the problems are currently. 4) Understand the bigger picture of how all the moving parts of your business work (or don't work) together. It's only when a consultant completely immerses him/ herself into your business that they are able to understand and uncover insights that allow the source of specific business challenges to come to the surface in order the be addressed. "Beware someone that smiles too much", my mother used to say to me! "They may make you feel good, but they are hiding something." Too often consultants say all the right things but are no better equipped to resolve an issue than they were before your pep talk. A good consultant's primary reason for being in your business is to help change the way you think about problems in your business and how you can go about solving them. Problems in a business often result from years of bad behaviour, habits, systems, people and other important reasons. While it’s tempting to believe that an expert will fix these problems overnight, that’s not going to happen. Any consultant that appears to give quick solutions to complex business problems is more often than not, not understanding the problem. Consultants require the appropriate time in your business to be able to offer effective, long-lasting solutions that will have positive results for your business. Businesses are made up of people. People are there to carry out their tasks to be able to do their jobs. So if something is going wrong, it will involve decisions needing to be made about the people in your business. Which is never a nice thing to have to deal with. You may be an entrepreneur, but you’re still a human being. And as a human being, you’re prone to ignoring uncomfortable truths about your business. Consultants are able to view things objectively, even when emotions are running high. Whilst understanding people and how they are a critical part of any business when decisions need to be made, consultants are able to do their work unaffected by history or personal obligation. When you want to lose a little festive season bulk, do you pay a personal trainer to tell you to workout? No! You pay them to work out a good workout plan, take you through it till you understand it, and then work with you to achieve your weight loss goals. The same applies to your consultant in your business. You don't pay them to tell you what you already know. You pay them to understand the problems and work with you and your business to understand the solutions. A good consultant will be there with you, from start to finish. 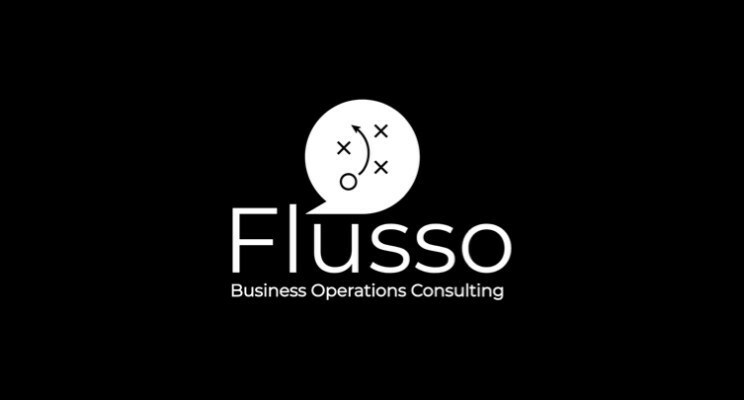 but if we chase perfection we can catch excellence"
At Flusso Consulting we question a business’s ability to survive an increasingly challenging future if not constantly assessing, adjusting and getting better at the way things are done.